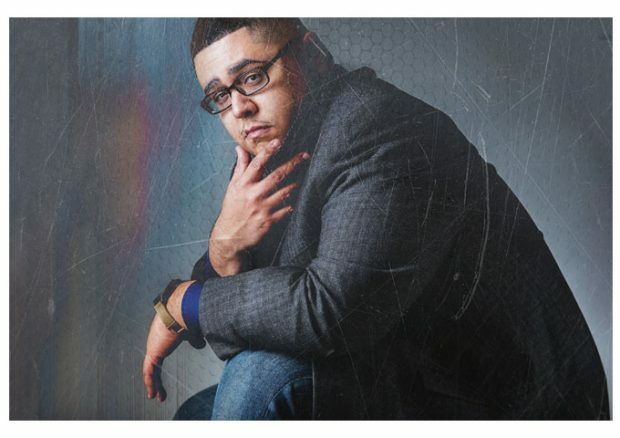 Marcus Alexander is a Puerto Rican Hip hop artist, actor, voiceover talent and event host from Chicago, IL. He has had many of his songs played on Jamie Foxx’s Sirius XM Radio Station “The Foxxhole”, and his last mixtape “#ShareThePositivity” was hosted by Jamie Foxx’s Dj, DJ MicahPhoneChecka. The entertainer, who is signed to the Desanti Talent Agency in Chicago, has acted in 13 Independent Films since 2014. 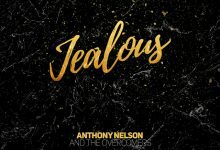 He has overcome many obstacles along the way and shares that growth throughout his creative endeavors, describing his music as “lyrical therapy”. 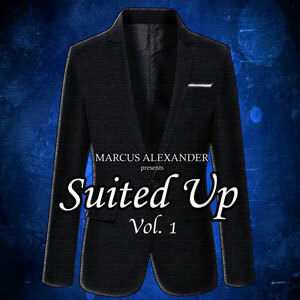 Marcus who has also been noted for his mature dress code on stage, has aptly titled his new album “Suited Up Vol.1”. For the last few years, hip-hop has been overrun by the mumble, with nearly all of its biggest stars basically unintelligible to the casual ear. Fetty Wap, Young Thug, Gucci Mane, Future, and Rich Homie Quan are all proponents of a style of rap which is about 80 percent vowel sounds. In some cases it’s known that lean—the codeine-based cocktail favored by many of these artists—makes you slur your words. On the other hand it’s easy to assume that this poor diction is just a way of fudging half-baked lyrics with no meaning. Whatever the debate, you can keep Marcus Alexander out of the discussion. 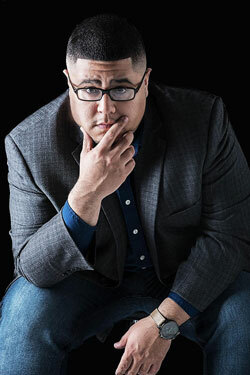 This dude has a clear, concise and masterful control of the spoken word – translated, that means you can understand every word that he says on this brand new album. In a recent scientific study on who has the largest vocabulary in the game. New York data analyst and coder Matt Daniels found the answer – Aesop Rock comes out with the biggest lexicon in hip-hop, with 7,392 unique words, Aesop’s closest competition is GZA with 6,426 words. It’s early days yet, and I haven’t even counted the unique words on this album, but just listening to Alexander, you have the sensation of a rapper who understands the importance of lyrics. Which brings us to the ongoing debate of old school lyrical hip hop vs new school beat-dominated rap. In this optic Marcus Alexander is decidedly old school, which is always a breath of fresh air in the current scene, where producers are becoming more important that rappers. Marcus puts the record straight, as he matches, and surpasses each beat, bar for bar on “Suited Up Vol.1”. The energy and elegance of his style is evident from the very first track “Control”. A delivery that’s insistent and loud, but never shouted or in your face. And it gets even better on “All For Show”, where Marcus’ flow is metered and paced to perfection, switching up and down to match the message. “Basic Rappers” leans on a thumping beat and a shimmering keyboard line delivered with an anthemic urgency, and is closely followed by the compelling beat on “The Gambler”, yet in both instances its Marcus Alexander’s vocal inflections and tones that dominate these tracks. By track number 4, I’m impressed by another factor – Marcus never overstays his welcome, with all tracks staying well within the 3 minute mark, some just making it to 2 minutes. That reflects a powerful ability to withhold superfluous information – not a trait many rappers can claim to have. From “Here We Go Again”, to “Hover High” and “Sperm Donor”, Marcus stays within his usual pair of poles: the detail-oriented old school rapper and the veritable modern-day entertainer. Some artists pull off crossover appeal without compromising artistic integrity. Marcus Alexander evidently, is capable of being one of those artists too, and he proves it on “Battle Cry” as he measures his talents with a current hook-filled styled beat, enriched by a stunning male vocal – a really tough call for any rapper to match in terms of auditory impact. Needless to say Marcus comes up trumps again!